Fast, precise and global communication with the equipment manufacturer is key for customers to get the very best out of their investment. In order to get closer to the customer, ALLU is proud to announce the launch of its own ALLU Mobile Application at Intermat. The Kinshofer Multi-Quick Processors (MQP), have been developed to produce effective cycle times, reduced jaw changing times and deliver an impressive power to weight ratio. There’s not much contractors can do to accelerate the transition from winter to spring; that’s Mother Nature’s job. 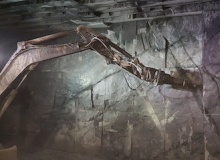 But thanks to breakers, they can do something about turning old concrete into rubble for disposal, recycling, and other uses, regardless of what the calendar says. 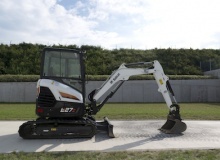 Using customised excavators tailored to a job’s specific requirements is a growing trend among demolition contractors. 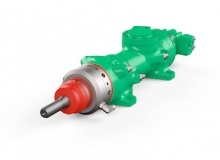 Excavator modifiers such as Kocurek, Soerma TP and Echle Hartstahl have their order books full for many months ahead. 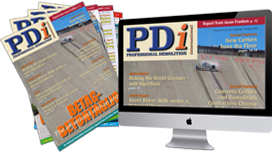 PDi’s Andrei Bushmarin sums up the latest developments in the excavator industry. 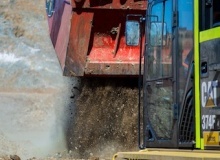 What’s new in mobile crushing and screening? 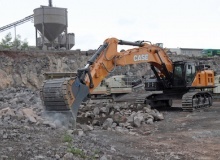 In this feature report, we look at new products from Kleemann, Keestrack and feature a Rubble Master job site report from London. Yanmar has chosen Intermat to launch its most impressive line-up development for 20 years. 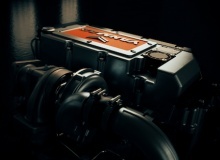 Not just one, but two brand new engine families will be officially introduced at the show, extending Yanmar’s current power range up to 155 kW. 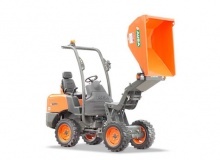 Spanish manufacturer Ausa has announced a totally new dumper concept that will define the line for the foreseeable future of the company. 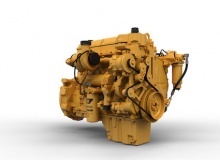 Caterpillar is to add to its extensive industrial engine range with the Cat® C13B. The 12.5l engine has been designed to meet Stage V and Tier 4 final emission standards, with the 6 cylinder, 12.5l engine combining upgraded air, electrical and after treatment systems and is 30% lighter compared to previous models. ALLU Group will be proudly exhibiting equipment from its Transformer and Processor ranges at Intermat 2018. As well as established equipment, ALLU will unveil the latest features and launch a new, exciting development. 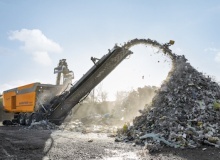 The Austrian company Rockster Recycler GmbH shows the future perspectives in crushing and screening technology at this year’s IFAT (open-air area, level with hall B6). 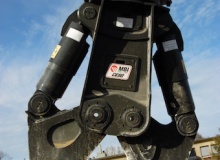 MultaVEX was originally founded in 1986, when the business started with machine brokerage, then gradually shifted to machinery sales and imports. 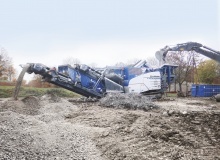 During Intermat this year, Montabert will introduce two new heavy rock breakers : the V6000 and the V7000. These two rock breakers, respectively weighting 6 tons and 7 tons, will complete Montabert’s range, to equip up to 120 tons carriers. At Intermat 2018, Bobcat and Doosan Portable Power will present new products including Bobcat’s new ground breaking range of 2-4t compact excavators. They will be complemented by the debut of the new TL30.70 compact telehandler and a new version of T870 compact track loader. 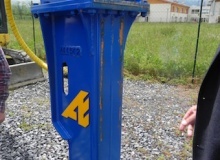 An Epiroc SB202 hydraulic breaker has already proven itself many times over by providing excellent service for Mayen (Eifel, Germany), company Rathscheck Schiefer. Doppstadt’s Inventhor Type 9 is a new high performance shredder that has been designed to set new benchmarks in quality and performance. 2018 is going to be a very special year for the MBI Group, with a double anniversary being marked at Intermat in Paris. Here the company will celebrate its 55th birthday and the 20th anniversary of its French affiliate, MBI France. 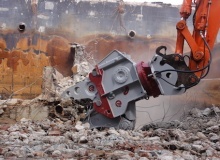 Rubble Master attaches great importance to its apprentices as the employees of the future. Twelve apprentices are currently undergoing production and commercial training, with February seeing a number of highlights, including a meeting with the company’s management team. 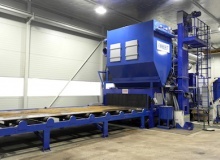 LaBounty has expanded its mobile hydraulic pulveriser line with the introduction of the MHP 350. 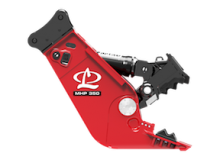 Offering high power to weight performance, the MHP 350 is engineered for high efficiency secondary demolition and concrete recycling.